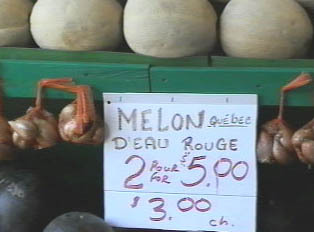 Most people in Quebec shop for their weekly supplies at the large supermarket chains. As well, most neighborhoods have a daily open market that sells fresh fruits and vegetables, eggs, dairy products, bread and flowers. It is not uncommon for a family to go two or three times a week to the open market for fresh produce, while buying meat, canned and packaged food at the supermarkets. There are few specialty stores in the neighborhoods with the exception of the small, specialized shops one finds in the various ethnic neighborhoods. All-purpose mini-markets are conveniently located throughout the cities, where one can replace basic staples between trips to the supermarket.